The technology involved in football boots has been coming thick and fast for the past few years, primeknit, flyknit, collars and some without laces. However one area has remained a problem. The technology involved in football boots has been coming thick and fast for the past few years, primeknit, flyknit, collars and some without laces. However one area has remained a problem, how do you stop mug from clogging up the soleplate? The beautiful game is not always played in beautiful conditions. Mud is a common opponent for all players; it clogs their boots, weighs them down and can cause players to lose footing altogether. Nike believe they have the answer with their new "Anti-Clog Traction" soleplates, using an adaptive Polymer that becomes compliant when exposed to water. The new Anti-Clog Traction soleplate. 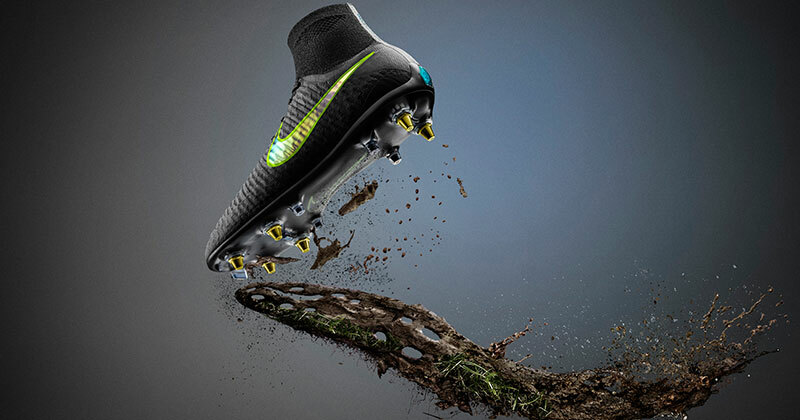 Nike Anti-Clog Traction prevents mud from clogging the sole plate of Nike’s football boots. The technology was developed over the course of two years with insights from Nike’s design, materials and research teams. Dr. Jeremy Walker was one of several PhDs working on this project, with backgrounds in materials science engineering and chemistry. “There is a reason why this problem persisted for so many generations of players,” says Walker. “It is extremely difficult to solve. But, that’s the kind of challenge we thrive on." 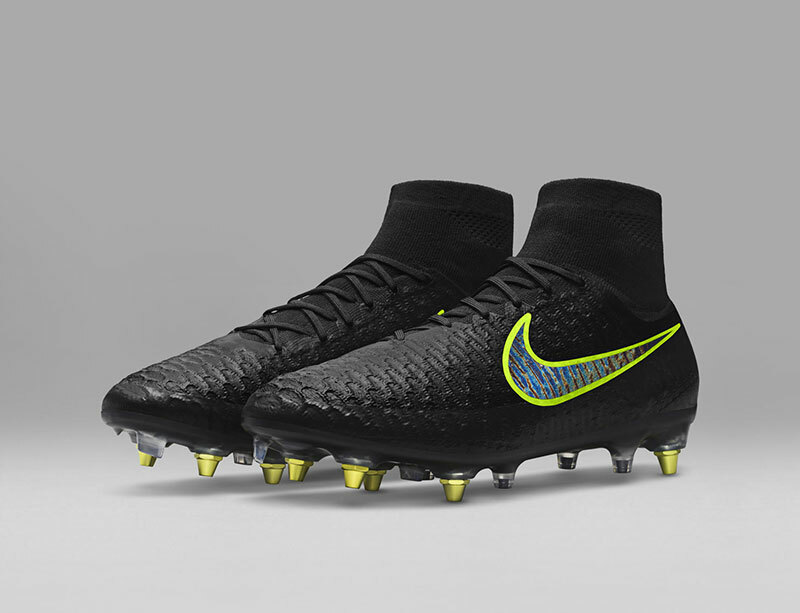 Nike Magista Obra with Anti-Clog Traction. 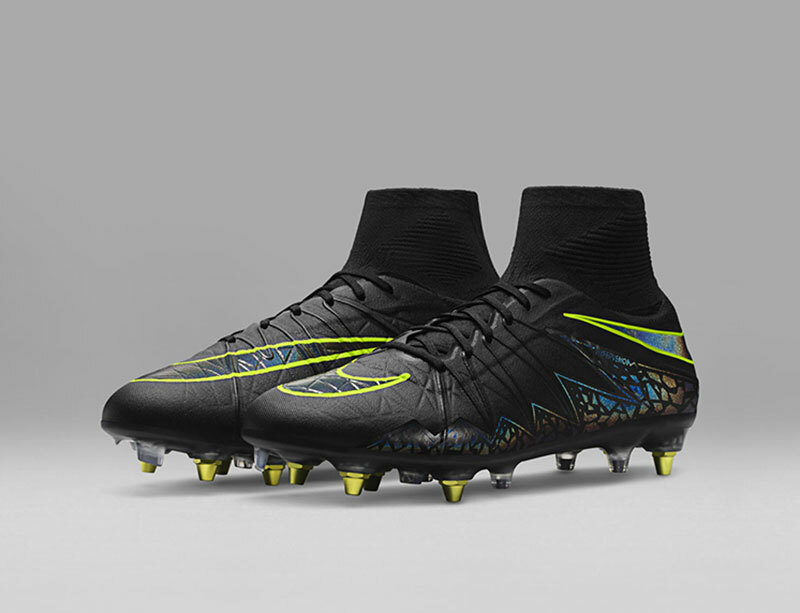 Nike Hypervenom Phantom II with Anti-Clog traction. 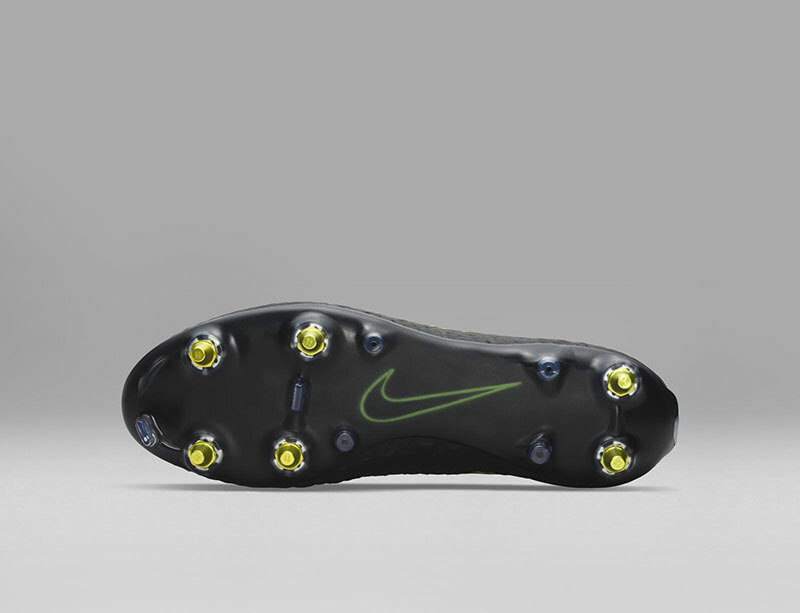 Nike Anti-Clog Traction hexagon mark on the heel. 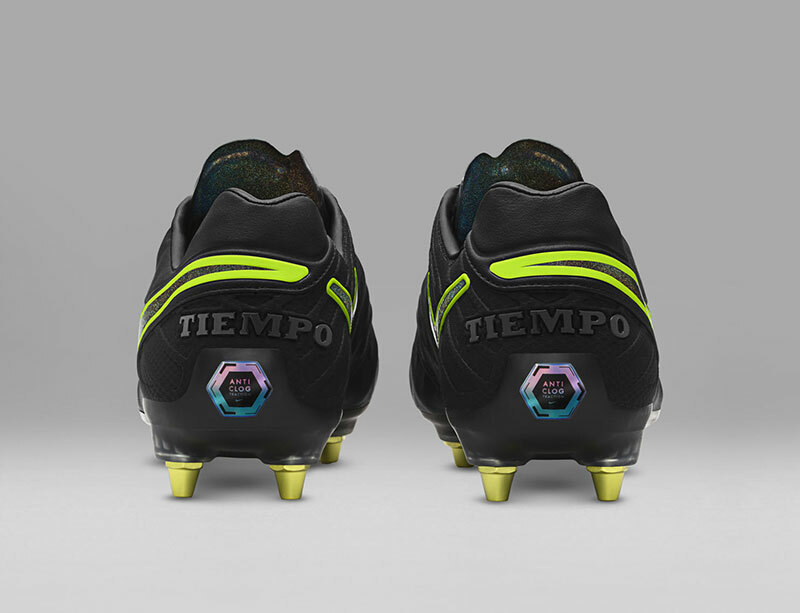 The Anti-Clog traction collection will be available in limited quantities, these special versions of the current Tiempo, Magista and Hypervenom models carry the Nike Anti-Clog Traction hexagon mark on the heel.